A deciding leg is always a tense moment – one in which a split second decides the fate of a match. Michael van Gewen likes to take fate into his own hands. The extent of Mighty Mike’s bottle can be seen in one revealing European Tour statistic. 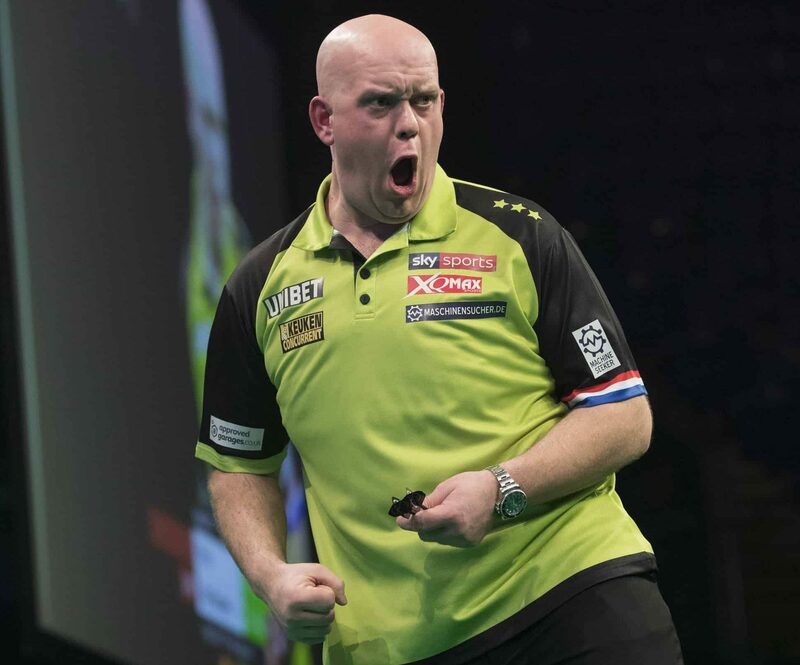 Ace statistician Christopher Kempf posted the results of the last 20 European Tour matches in which van Gerwen has been taken to a decider. Remarkably, the three-time world champion has won 19 of them. The most recent was at the European Darts Open on Sunday. Van Gerwen saw off Gerwyn Price 6-5 to reach the semi-finals. He survived one match dart from the Welshman, but went on to hit a nine-dart finish in the semi-finals, and win the tournament. There are plenty of highlights across van Gerwen’s string of 19 successive last-leg victories. One is the 2018 European Darts Open final, in which he recovered from 5-1 down and survived a match dart to beat Peter Wright 8-7. The Dutch ace has won four other finals that have gone the distance. He beat Wright and Mensur Suljovic in the European Darts Open and the European Trophy respectively, both in 2016. A 6-5 win also saw him win the 2015 German Darts Masters against John Henderson. In 2017, he saw off Michael Smith to take the Austrian Darts Open title. In fact, it was Smith who last inflicted a last-gasp defeat on van Gerwen. The Bully Boy claimed the 2014 European Darts Trophy title with a 6-5 win over the Green machine in the final.